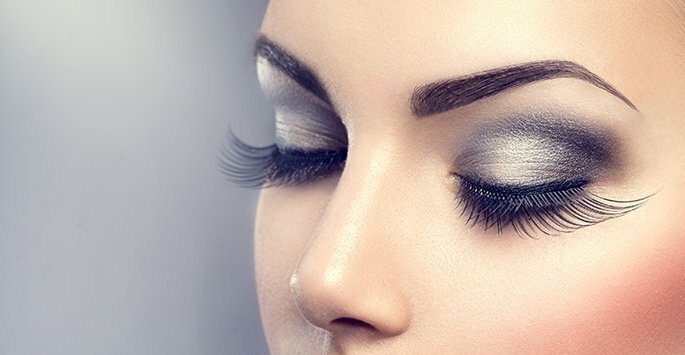 Although most women focus on major facial features when trying to enhance their profile, eyelashes can provide subtle and natural improvement to the overall beauty of the face. At Youthtopia Med Spa, our eyelash extension services can create thicker, longer, darker lashes and professional results. Youthtopia Med Spa is located in Alpharetta, Georgia and specializes in several laser, medical and rejuvenation services. Contact us today to schedule a consultation and find out how eyelash extensions can enhance your profile. For thin or sparse eyelashes, eyelash extensions can help accentuate the eyes and restore a more youthful, alert look to your face. Although there are over the counter and at-home eyelash remedies, these fall short of desired results and can irritate your eyes and skin. Whether you want to add volume to your lashes or improve length and thickness, we offer solutions for all cosmetic goals. This treatment is painless and will not damage your existing lashes. Our eyelash extensions are made of synthetic, single-fiber polyester thread-like materials and are carefully applied to individual lashes using surgical-grade adhesive tape that will not irritate your skin. We also offer various treatment options depending on the amount of enhancement you would like to achieve. A full set of eyelash extensions not only creates optimal results, but an aftercare kit is also available to help maintain your new look after treatment. Half sets of lash extensions are also available. For individuals who have thin or sparse eyebrows, our medical team also offers brow extension services to enhance the shape and fullness of your brow and add more expression to your face. Ask about this and other treatment options during your consultation. Am I a Good Candidate for Eyelash Extensions? If you experience sparse or thin eyelashes, extensions may help improve your overall facial profile. Although our extensions are safe for most individuals, those with allergies or sensitive skin may require further evaluation before treatment is approved. Although eyelash extensions can last for up to several months, regular touch-up appointments may be necessary to maintain your new lashes. Our medical team will discuss these options with you during your consultation to determine the best course of treatment for your individual condition. Contact Youthtopia Med Spa today to schedule a consultation and find out if you are a candidate for eyelash extensions.